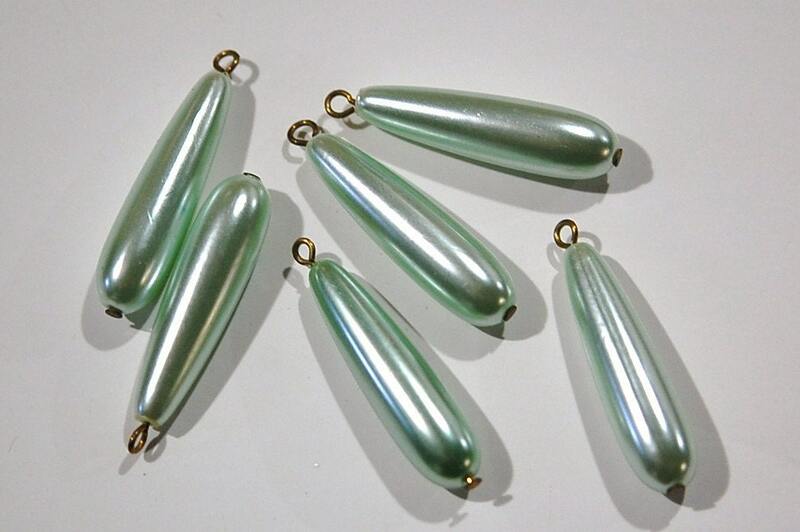 These are vintage acrylic long teardrop pearl drops. 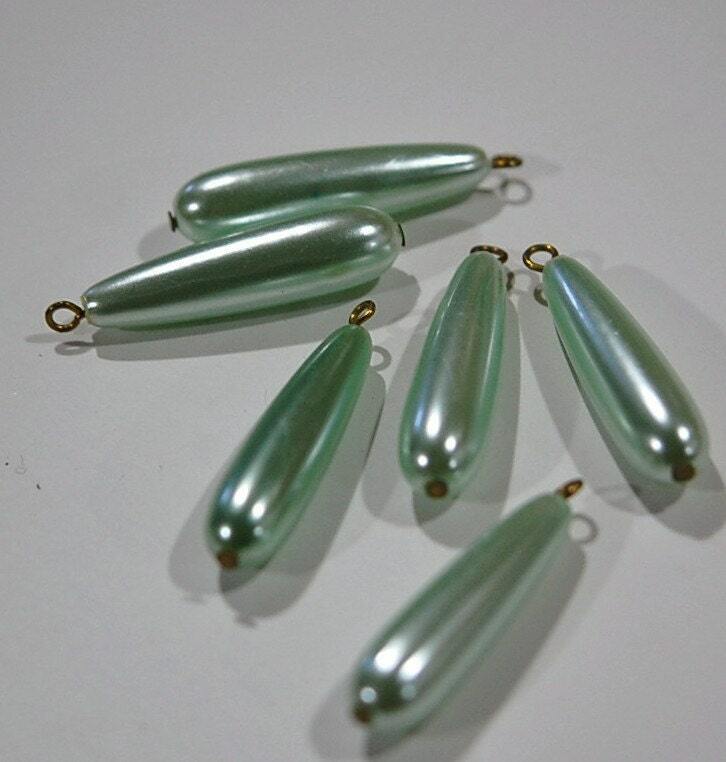 They are done in a minty green color and have a raw brass loop. These measure 34mm long with loop X 7mm wide. You will receive 6 pieces.